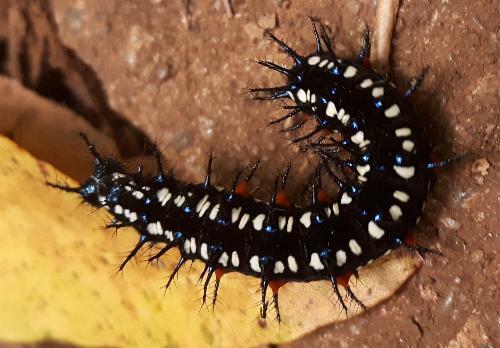 This Caterpillar is black with cream spots and blue and red markings. 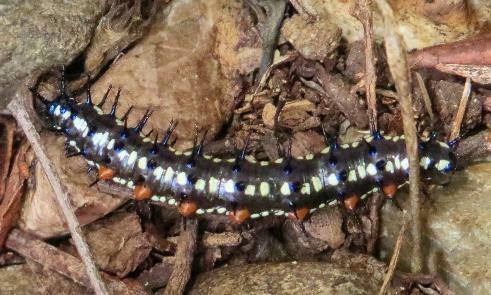 It is covered sparsely in branched black spines, and has a pair of hairy horns on its head. 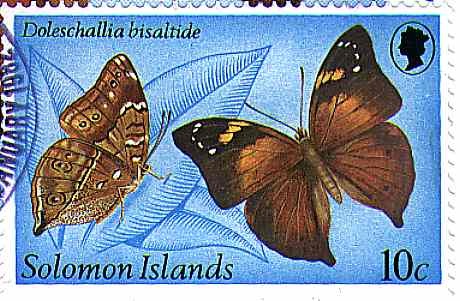 The caterpillar feeds nocturnally, hiding by day in debris on the ground by its foodplant. Bedding Conehead ( Strobilanthes isophyllus ). 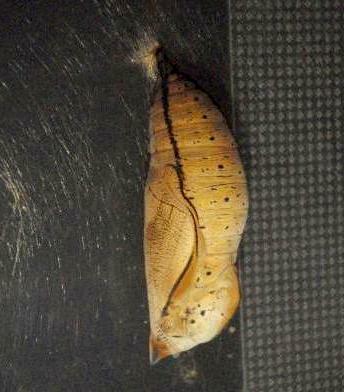 The pupa is smooth and brown, with a curvy black line along each side, and a few yellow spots . It hangs by a silk cremaster from the foodplant. 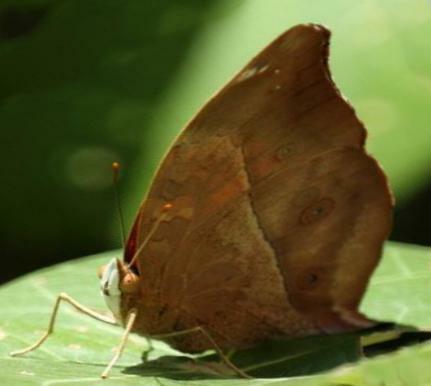 The adult butterflies have wings shaped so that the resting butterfly (with the wings closed over its back) looks like a leaf. There is a small tail to the hind wings. 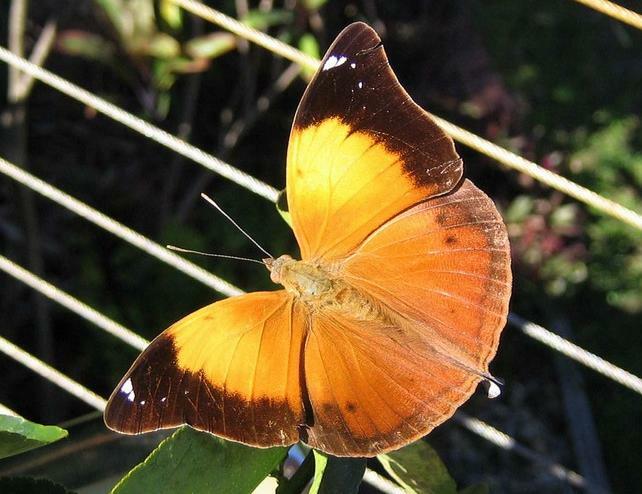 The upper surfaces of the wings are orange with a broad dark area around the wingtips. 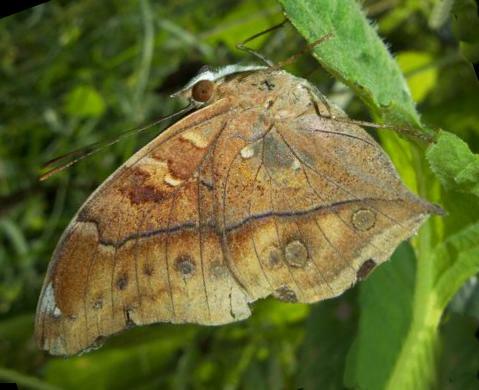 The undersides purplish-brown with a vein-like mark running across both the fore and hind wings. The eggs are pale yellow and spherical, and are laid in small clusters on young growth of a foodplant. 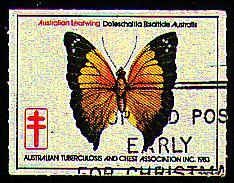 CSIRO Publishing, Melbourne 2000, vol. 2, pp. 563-564. Amsterdam Baalde, Volume 2 (1777), p. 9, figs. C, D, and Plate 102, figs. C, D.
Earthling Enterprises, Brisbane, 2005, pp. 27, 61, 64.